In the framework of the technical assistance that the World Tourism Organization (UNWTO) provides to Member States, especially in their development of sound statistical systems, the People’s Democratic Republic of Algeria has hosted the 1st Workshop on Regional Statistics of the Tourism Sector (13-15 February 2017). The program aims to enable the development of tourism statistics according to the United Nations standards at the national level and to implement the Tourism Satellite Account project over time. This three-year programme, which was launched this year and is to be concluded in 2019, consists of a series of capacity-building workshops for officials from national tourism administrations, national statistical offices, central banks and Immigration Offices. 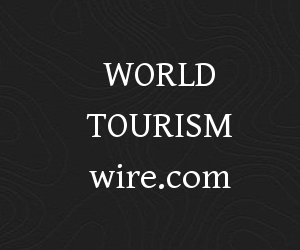 On the occasion, UNWTO Secretary-General, Taleb Rifai, praised the efforts done by the Ministry of Tourism of Algeria to place the sector at the core of the economic development policies and recalled the importance of tourism statistics for tourism development. “Statistics are essential as they are the basis to shape efficient tourism policies, very needed in a region where the sector has so immense potentials,” said Mr. Rifai. Measuring the impact of the tourism sector through statistical data has been one of the key areas of work of UNWTO in the last decades. The Tourism Satellite Account is one of the pillars of this approach. In parallel to the workshop, the Secretary General held bilateral meetings with government authorities including H.E. Abdelmalek Sellal, Prime Minister of the People’s Democratic Republic of Algeria. The discussions were focused on tourism’s potential in Algeria and the necessity to develop human capital. The Prime Minister acknowledged the declaration by the United Nations of 2017 as the International Year of Sustainable Tourism for Development and confirmed that his country shares the same vision, especially in the development of sustainable tourism which can guarantee each nation the realization of common objectives on the economic, environmental and cultural sustainability. Mr Rifai discussed at length with H.E. Abdelouahab Nouri, Minister of Land Management, Tourism and Handicrafts the strong potential that the country has in tourism and the technical assistance that UNWTO may provide to Algeria. “Algeria is truly committed to creating a more competitive and sustainable tourism, a sector that can become one of the pillars of Algeria’s economy and a tool for diversification and inclusive growth,” he said. The improvement of air connectivity of the country was praised by the Secretary General who also commended the support of the Algeria to Tunisia. “We hugely acknowledge the support that Algeria has provided not only through long-stay tourists in Tunisia, but through significant tourism expenditure in Tunisia as well. Standing together is the best thing we can do in the face of crisis to help recovery,” he mentioned.